when you look at value for money, there are theoretical reasons for thinking that multilaterals would be more effective and, in practice, such data as we have tend to support that idea. The Committee gave me a good opportunity to explain this, though I am not sure I persuaded them. Here is why I think the big multilateral aid organisations through which the vast majority of multilateral aid is spent – such as the World Bank, European Union, regional development banks, and larger global funds such as GAVI – are generally more efficient than bilateral aid. Why would multilateralism be more cost-effective? 1. Relative immunity from capture – bilateral donors are prone to being captured by commercial interests (eg the beltway bandits), lobbying by vocal NGOs, or short-term political pressures from legislators on a hobby-horse. Multilateral donors have more diverse stakeholders, so they are are less susceptible to capture by individual campaigns. 2. Untied aid – a particular example of capture is that bilateral donors generally tie their aid to their own suppliers, either explicitly or implicitly. This greatly reduces the value for money of aid. 3. Returns to scale – larger organisations can spread overhead over more projects. This is especially important for overseas offices, the duplication of which is very expensive. Bulk procurement can bring down prices (for example, of medicines). 4. Specialisation – It makes no sense to have lots of bilateral donors each trying to build up expertise in each subject. 5. Diversity and breadth of membership – multilateral organisations include a broader range of members, including some countries which have themselves recently successfully industrialised their economy – and so can draw on and synthesize a wider range of experiences. This diversity gives developing country partners access to a greater range of ideas. 6. Improved aid allocation by ineffective donors – If a relatively effective donor (say, the UK or Ireland) increases their contribution to the multilateral system, that creates pressure on other, less effective bilateral donors (say, Italy or South Korea) to do the same in order to maintain their relative ‘fair’ burden. So if DFID shifts money from its (relatively effective) bilateral programme to a multilateral programme (also effective, but perhaps not markedly more so than DFID) this can other push other countries to spend less through their woefully ineffective and wasteful bilateral programmes and greatly increase overall aid effectiveness. 7. Reduced spillover effects – When we think about the effectiveness of bilateral aid, we often forget about the cumulative effects on developing countries and governments of coping with hundreds of different donors. Knack (2006) refers to a forestry project in Vietnam jointly funded by 5 donors: it took 18 months and the involvement of 150 government workers to buy five project vehicles, because of the different procurement requirements of the different donors. That is why Simon Maxwell often says “don’t harmonise, multilateralize”. We might all individually prefer to drive from our home to the office, but the roads would be impossibly congested if we all did that, so we are all better off if we pool our resources into an effective public transport system. It is similar for aid: we are all better off if we invest in a collective mechanism and resist the temptation to cause congestion by running our own individual aid projects. 2. Invest in global public goods – in a way that bilateral donors are usually unwilling to do. 3. Act in politically sensitive situations – for which sovereign countries lack neutrality and credibility. 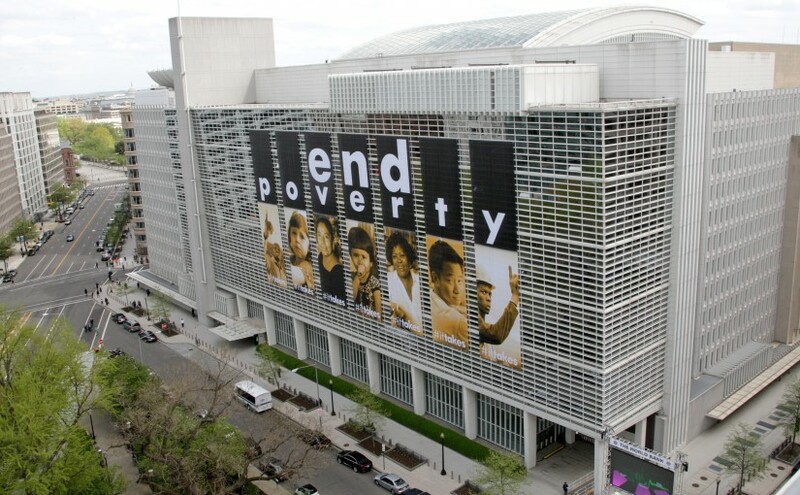 Conversely, making more use of multilateral aid would free free up staff in foreign ministries and development agencies to focus on non-aid policies, such as trade, corruption, illicit financial flows, migration, environment, all of which have huge impacts on developing countries but which get crowded out by the priority given to managing aid budgets. That’s all very well in theory, but what about the real world? Shamefully we have very little data with which to compare the cost effectiveness of bilateral and multilateral aid. But in the CGD Quality of Aid index, a multilateral agency tops three of the four dimensions; a multilateral agency (the World Bank) tops the index as as a whole; and all the multilateral agencies (apart from the UN agencies) come in the top half. Almost all the aid establishment has a reason to claim that bilateral aid is better. Politicians prefer bilateral aid because it increases the prestige and reputation of the donor country. NGOs and consulting firms reckon they have a better chance of getting a slice of aid spent through their flag-carrier aid agency. The aid bureaucrats in many governments prefer to control spending themselves than to provide core funding to multilateral agencies. The one group of people who might think otherwise – the multilaterals themselves – are constrained from saying so by their shareholders. But the fact that almost everyone has an incentive to say that bilateral aid is better doesn’t make it true. It would seem that 1) making generalizations about all multilaterals is wrong; 2) how much better they are than bilaterals depends on which agency you are referring to (if DFID performs better than almost all multilaterals, the UK has a reason to keep its money in-house); 3) much more analysis is required (and the agencies should be more cooperative in providing data). Your blog and the findings from the CDI chime with our findings in both the 2011 and 2012 Aid Transparency Index: http://www.publishwhatyoufund.org/index/2012-index/. Overall, larger and more established donor organisations generally perform better in the Index. Multilaterals also tend to score highly, with over two thirds scoring 60% or more in 2012, placing them in the ‘good’ or ‘fair’ category. The six organisations that improved their score to be included in the ‘fair’ category in 2012 were all multilaterals (UNDP, IADB, AsDB, GAVI, ECHO and UN-OCHA). Nevertheless, there is still a wide variation among multilaterals. 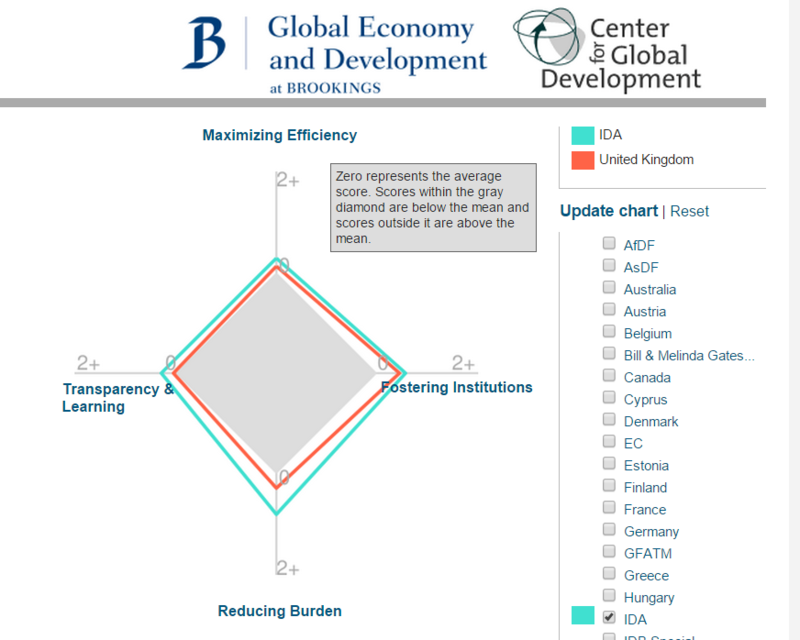 With a score of 87.9%, the World Bank-IDA/IBRD lies considerably ahead of the others. The Global Fund, EC-DEVCO and the AfDB all score over 70%, all having improved compared to 2011. The Index contains two multilateral humanitarian agencies, both of which score ‘fair’ (ECHO scores 60.5% while UN-OCHA scores 60.3%). This performance is interesting considering the more unpredictable nature of humanitarian operations. On the other hand, it perhaps also reflects the need for high-quality, timely information in crisis responses. ECHO’s performance possibly reflects its institutional setting in the EC, meaning it is subject to scrutiny from both the EU Member States and the European Parliament. Interested to hear others’ thoughts on how this data could be used to assess cost effectiveness. Thank you for outlining your argument. I also thank Seth Kaplan for pointing out the Easterly and Pfutze paper. As a student we’ve been covering these topics a lot recently, and as a result I have a question. You say that one of the major advantages is the diversity of ideas. How do you address the argument that aid conditionalities actually work to propagate chosen discourses and ideas, as opposed to being a repository of ideas recipients can pick and choose from? The work of David Sogge, Give and Take comes to mind. I agree with you that there should be fewer agencies and they should be multilateral. That is where we want to get to and it’s nice and simple. But as things stand, the picture is quite mixed. In my experience the same agency can be outstanding in one country and almost ineffective in a similar neighbouring country. Some of its projects and policies will be useful and some less useful. It is mucch less clear how to get from A to B, but one obstacle is the overlapping mandates of the multilaterals. If a recipient country has a balance of payments problem, the go to the IMF which is required to help and has a mandate to coordinate other donor inputs. But otherwise, if the same recipient country wants to attack a particular MDG, there is never an agency that is required to deliver and to coordinate other donors. Instead, all the multilaterals and the bilaterals do their own thing in most sectors in most countries, which is a recipe for systemic ineffectiveness. Post-2015, it seems to me that each MDG or international development target should be associated with an agency that is (a) required to help on request and (b) has a mandate to coordinate donor inputs. Tjis would eventually affect aid allocation because the agency would then have to explain at its replenishment meetings that demand exceeds supply or vice versa. In this way, funding would increasingly be allocated to agencies that are delivering priorities of both donors and recipient countries. You could even call it a market-driven system. DFID’s decision to cut funding to four small agencies may help to “encourager les autres” (Voltaire) but it doesn’t begin to sort out the mandates muddle at the top, although it is ultimately down to the states members of the multilateral agencies to try to sort it out. On a point of detail, your phrase “woefully ineffective and wasteful bilateral programmes” apparently referring to everyone except DFID, is not up to your usual standard of precision IMHO. Thanks. My hesitation about your approach is the idea that we can plan which organisation will do what. An alternative way to achieve less overlap is to (greatly) strengthen the pressure on multilaterals (and bilaterals) to focus on their comparative advantage, by penalising them heavily when they are less effective and rewarding them for what they do well. Then the overlap will shake down over time of its own accord. That seems to me both more realistic as something we can get agreed, and likely to be more effective than trying to decide these roles centrally. On the lamentable performance of some bilaterals: you make a good point. (Though I think I did mention Ireland too). One piece of evidence for these judgement is QuODA. Next Next post: Should Britain give aid to India?